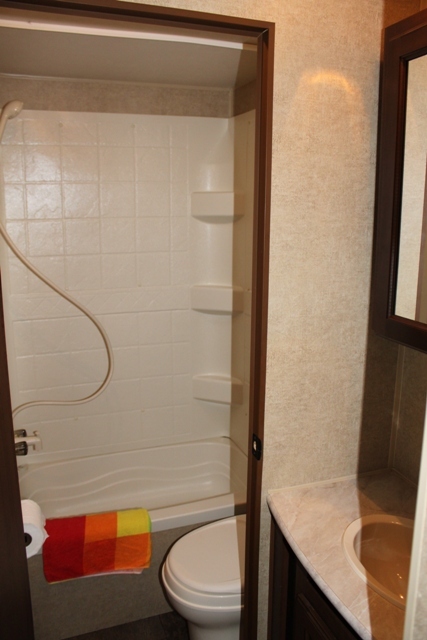 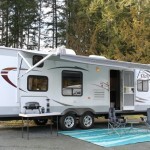 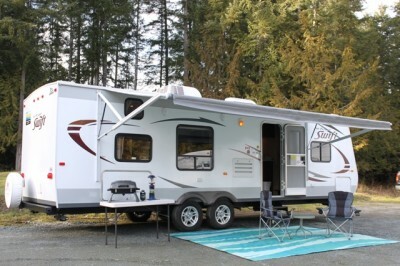 281 Jayco BHS - K-Jack RV Rentals- Parksville, Qualicum Beach, Vancouver Island B.C. 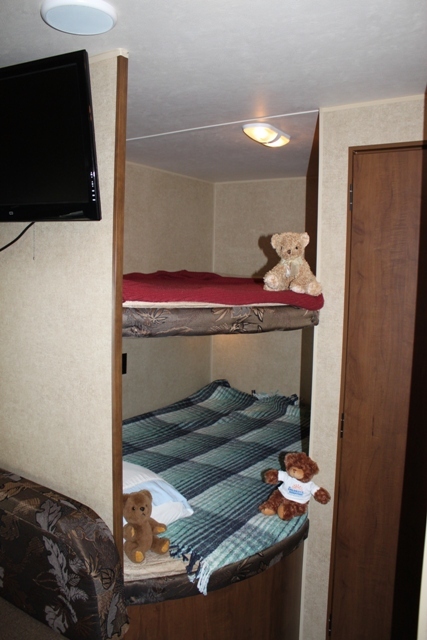 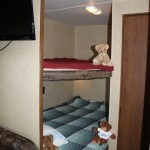 Family sized brand new 4 season trailer with double over double bunks for the kids, and walk around queen bed for the parents. 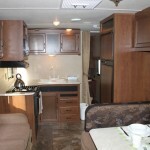 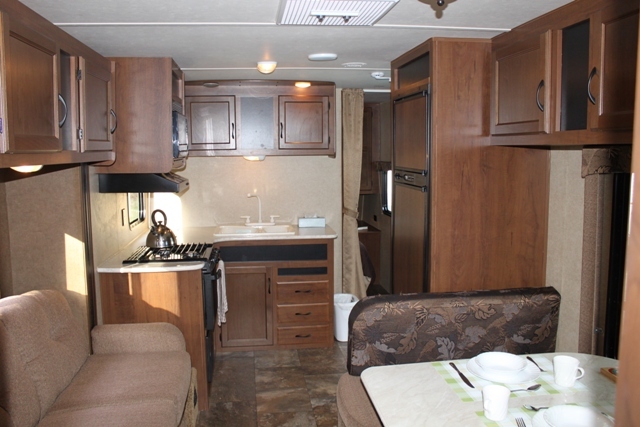 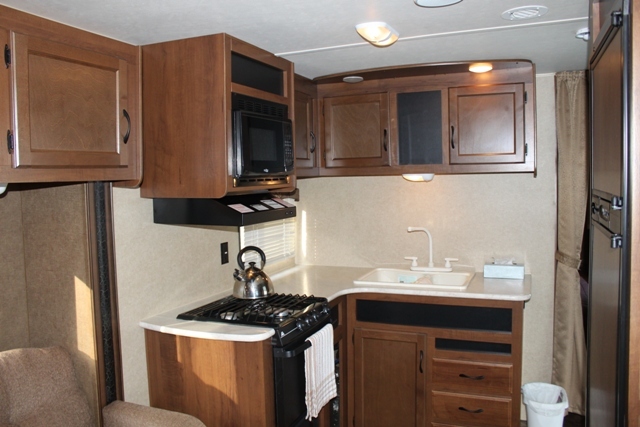 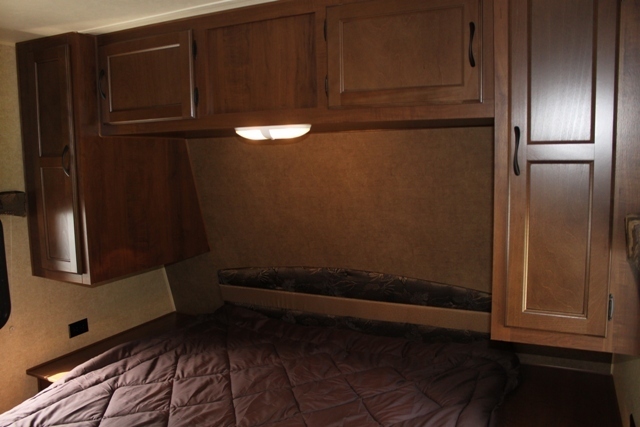 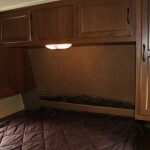 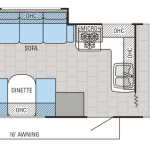 There is a comfortable living area with dinette and couch slide which also fold down for that extra sleeping space. 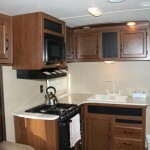 This center kitchen model provides generous counter space.